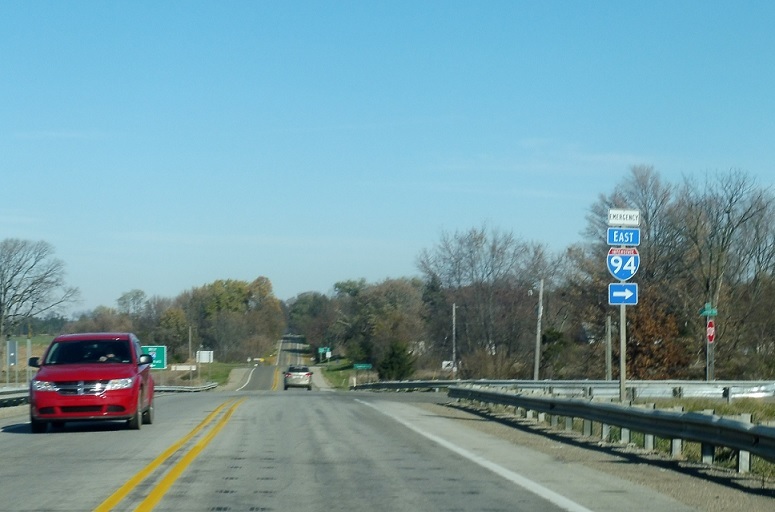 Reassurance shield as 99 joins I-94 Business. Reassurance shield as we start to head out of town. 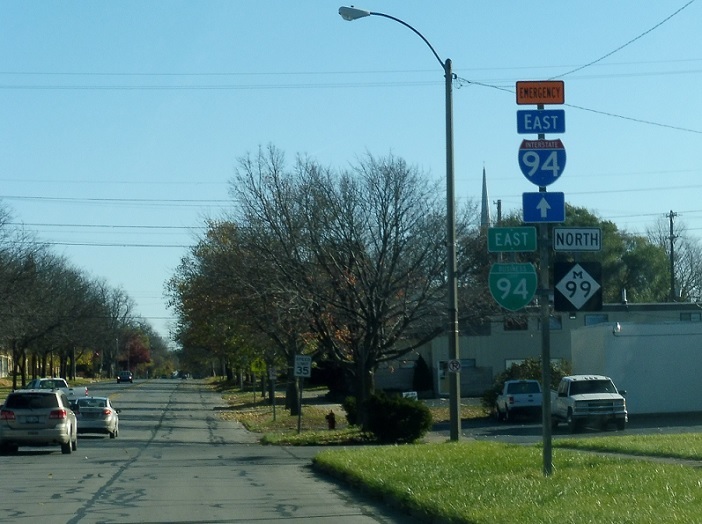 I-94 Business is the emergency detour for I-94. 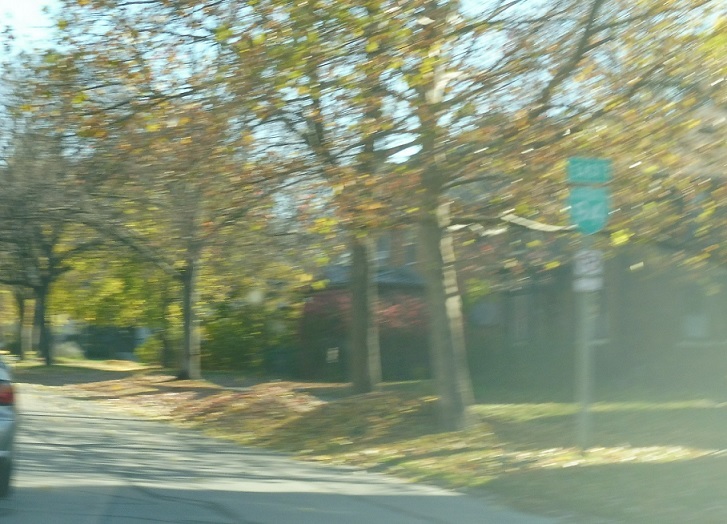 Reassurance shield as we leave Albion. 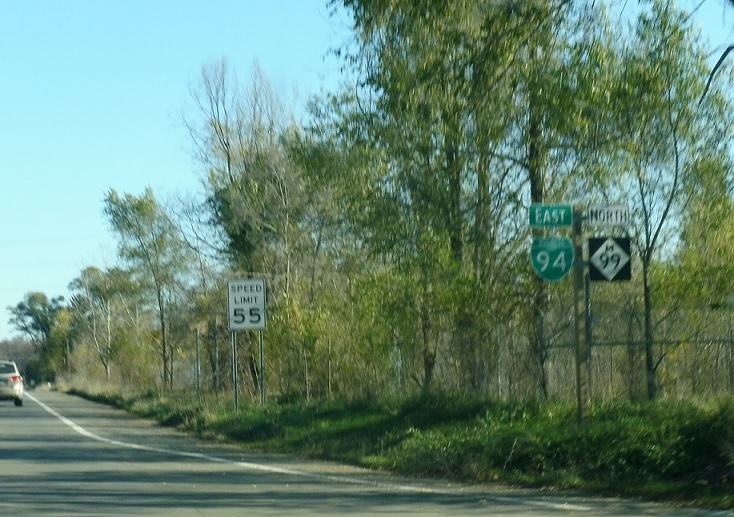 A couple miles later, we’ll approach I-94. 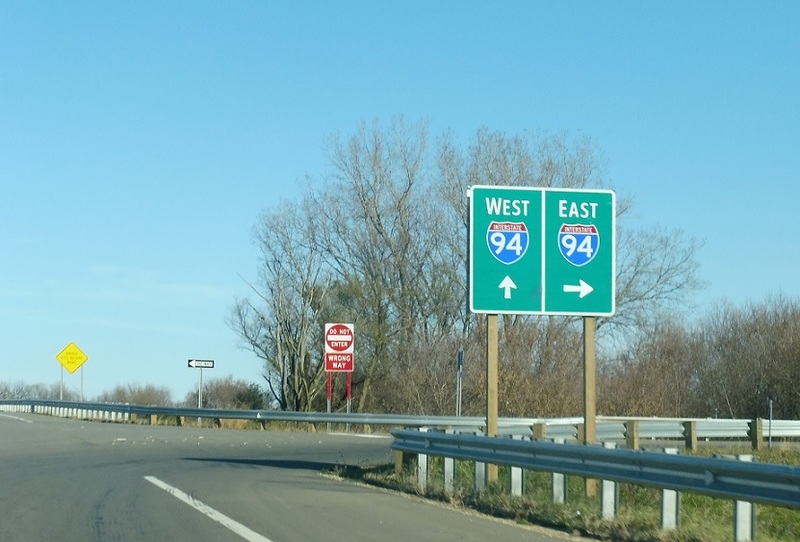 Turn right ahead for I-94 east. 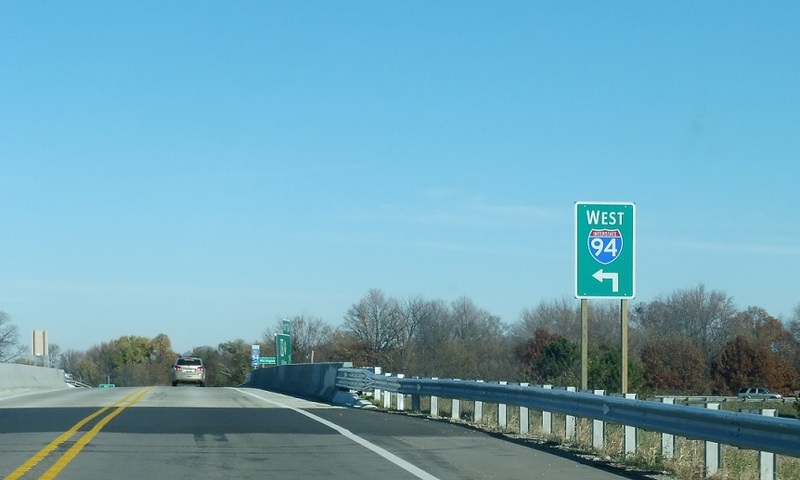 Stay straight to stay on M-99 north to access I-94 west. 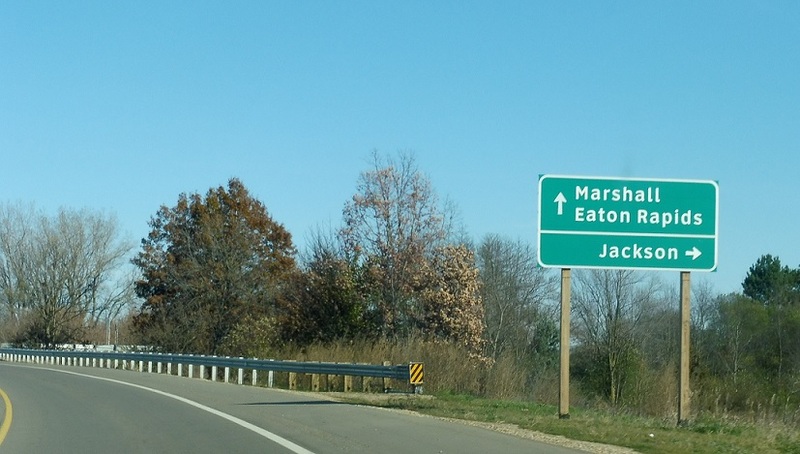 Follow 94 east to Jackson and 94 west to Marshall. 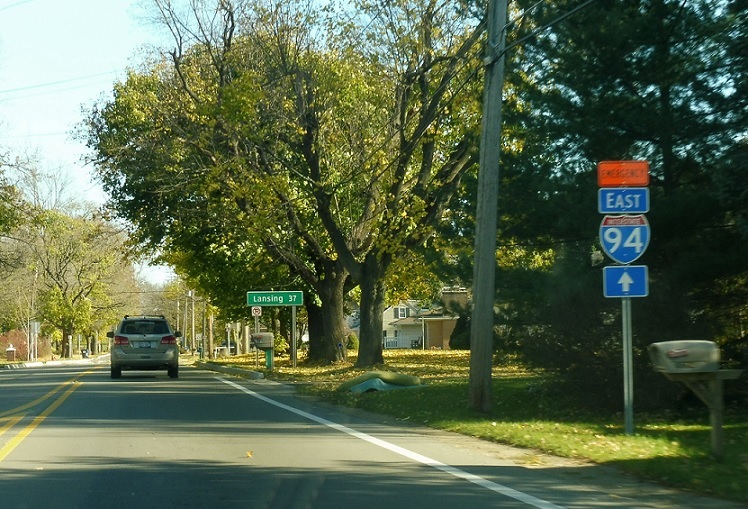 Stay on 99 north for Eaton Rapids. 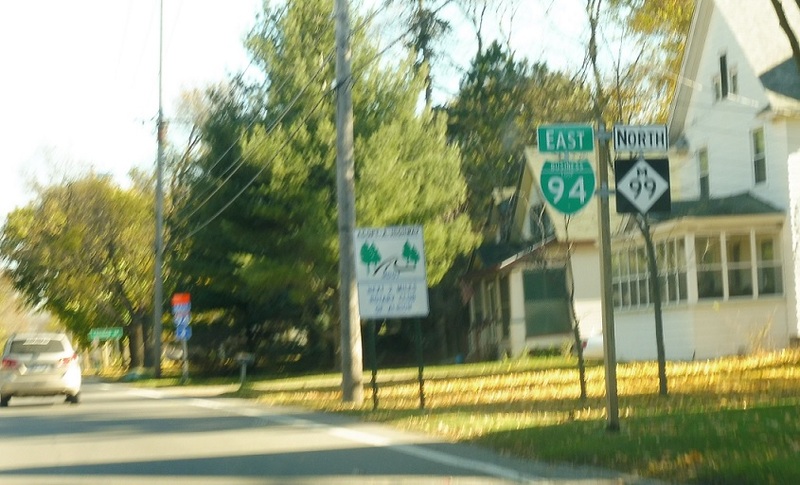 Turn right for I-94 east. 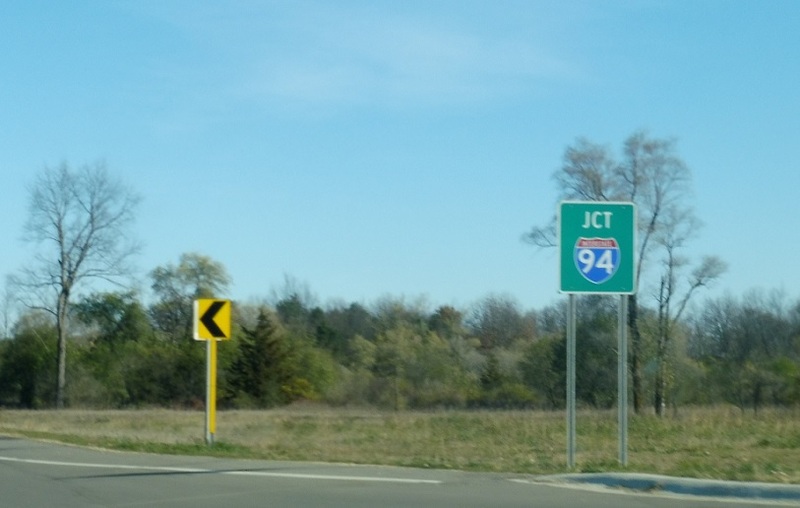 Turn left for I-94 west as we cross over the freeway. 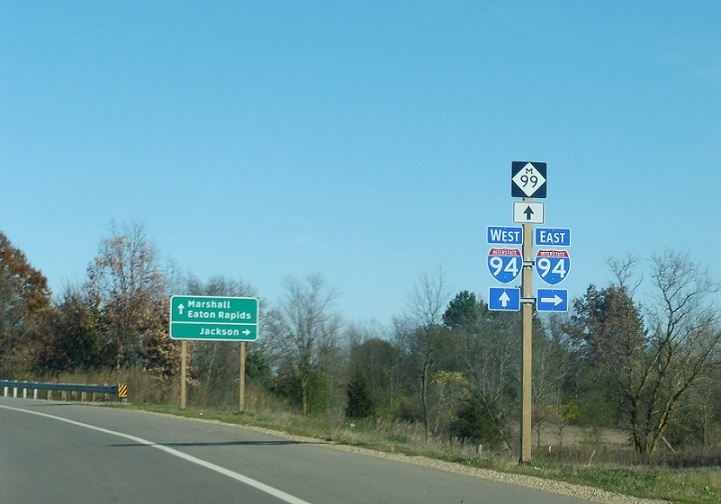 As traffic turns left for I-94 west, there is also the option to turn right onto a frontage road to keep following the I-94 detour. 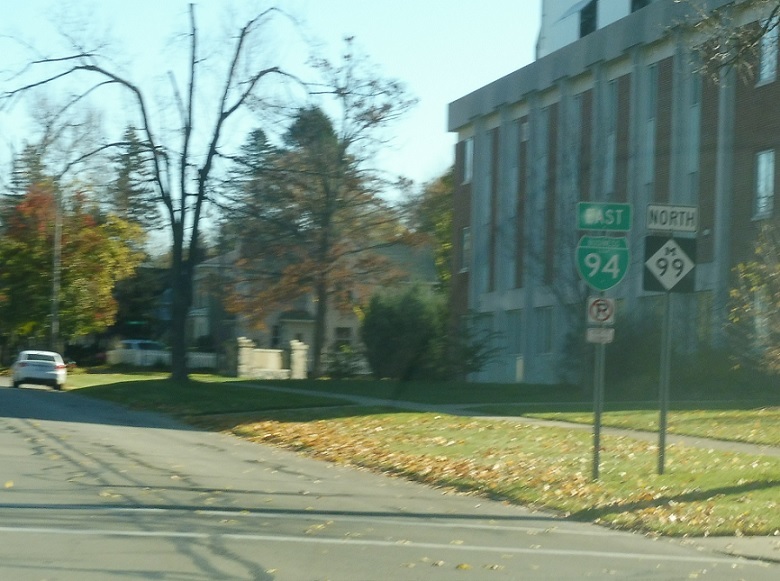 Stay straight for M-99 north.